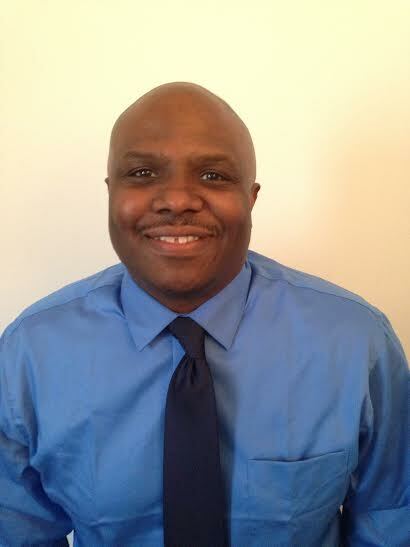 Jason Fleming is a Professional Counseling Astrologer with a broad and holistic approach. In addition to the Astrology, Jason draws from over 15 years of experience in the fields of Human Resources, Corporate Recruiting, Employee Development and Personality Assessment. Jason’s primary focus is partnering with individuals and couples to identify potentials for personal growth and development. His mission as a consultant is to responsibly guide people toward a more expanded and unified self-concept. Jason offers personalized consultations which are specifically tailored to the needs of his clients. Sessions include an overview of personal strengths, developmental challenges and an outline of relationship and vocational needs. Jason’s Astrological philosophy is wide-ranging. The birth chart is used as a navigational tool to enhance one’s quest for self-discovery and wholeness. Individual sessions are geared toward creating a meaningful dialogue with the goal of establishing strategies to develop and utilize the contents of the birth chart in constructive, concrete and tangible ways. Jason’s Astrological writing has been published in Hexagon Astrology Magazine, Clutch Magazine and the online version of the Mountain Astrologer. Additionally, he has served as co-editor of two books by Astrologer Susie Cox: “Susie’s Sun Signs” and “Susie’s Love Signs”. Jason has also appeared in the Journal of the International Society For Astrological Research. All of the information in regard to consultations can be located at : sagittarianmind.bigcartel.com. He can also be reached via e-mail at sagittarianmind@gmail.com. Greetings Sagmind, I’ve read some of your post and find them very interesting and refreshing! Finally someone who gets me! I too am a hiphop head and have a passion for astrology. My question to you is which astrological system do you use? Western or Vedic? I’m not sure if you stated in past posts. You have great insight none the less! peace!! thanks for visiting the blog and I really appreciate your comments. I’m a western astrologer, and I wholly believe that we can gain insight from the exploration of different systems. Hey I was wondering. Could you please do a post on the sun/moon combination of gemini sun/virgo moon!! I would be really grateful!. Hey SagMind, great page! I have been referring your page to others, its great to see a brotha keep his page current and up to date on the Astro knowledge. Could you do a Sun/Moon on Aquarius sun/Aries moon when you get the chance? Thanks & Much Respect! thank you for stopping through, and i’ll definitely get to that combo! thank you for your words, and that combo is in the works and will be posted soon. most likely, before the end of the month. Thanks for the post on Virgo Sun / Sag Moon – so glad to hear it’s a win-win! welp!! I guess you have to open up your mind a little bit, Caroline 🙂 thanks for visiting the blog and I ‘m glad you liked the post. Thanks for your comment. If you would like to e-mail me at : sagittarianmind@gmail.com, I would be glad to discuss what type of consultations I offer, and thank you for visiting the blog. It’s sincerely appreciated. love everything you do, your words and imagery are so uplifting and inspiring. i was wondering if you have done or could do a cancer sun/capricorn moon (with or without cancer ascendant). hey!! thank you so much for your comments. your words mean a great deal. i’ve written the cancer sun, capricorn moon combination and it’s right here: https://sagmind.wordpress.com/2016/03/01/cancer-sun-capricorn-moon/ thank you for visiting the blog! !